During the month of January, minimal activity in the form of rainfall is observed over central parts of the country. It is only on account of some extreme weather conditions that rains occur, otherwise weather remains mostly dry over entire region. Now, due to some major systems evolving pan India, rains are likely to occur over Central India including Madhya Pradesh, Chhattisgarh and Maharashtra January 24 onward. Moreover, Intensity of these rains will oscillate between light and moderate. Further, these rains will spare Madhya Maharashtra as well as Konkan & Goa regions and will extend only up to Vidarbha and Marathwada regions. North India generally receives weather activity because the system moves from west to east directions here. On the other hand, down in South, rains are the results of systems moving from east to west directions. However, intensity of rains during this time remains low here. When the above systems come in an alignment while moving from west to east and east to west directions, this condition meteorologically known as ‘interaction between two systems’. This interaction results in rains over central parts of the country. Moreover, when these come in an alignment, the movement becomes slow or almost stagnant thereby resulting in prolonged rain activity over Central India. 1. 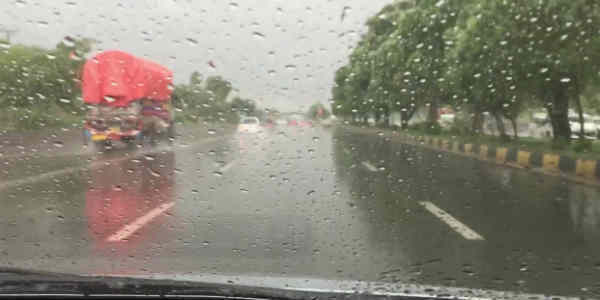 At present, a Western Disturbance is over Pakistan region thereby giving heavy rains and snowfall over hills of the country. 2. A Cyclonic Circulation is persisting over Pakistan and adjoining Rajasthan which would result in rains over plains of the country today evening onward. Because of this system, some rains have already started over North Punjab as well as over one or two places of North Haryana. In fact, Uttar Pradesh is also likely to see some good rains. 3. Upcoming Cyclonic Circulation will develop over Southwest Madhya Pradesh and North Madhya Maharashtra. 4. In wake of all these above systems, the seasonal Anti-Cyclone persisting over Central India has been shifted to Odisha coast thereby providing moist winds over central parts of the country. These moist winds will result in increasing moisture content, which is an important ingredient for causing rains. 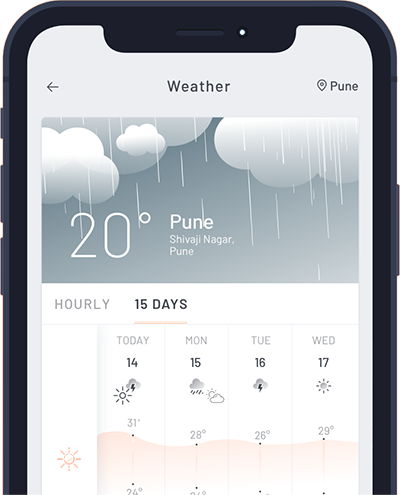 Thus, rains will start touching Madhya Pradesh, Chhattisgarh, Vidarbha and Marathwada regions in Maharashtra January 24 onward and will continue for a period of four to five days. Further, rains will remain between light to moderate. Moreover, favorable conditions would also result in unseasonal hailstorm activities at one or two places.